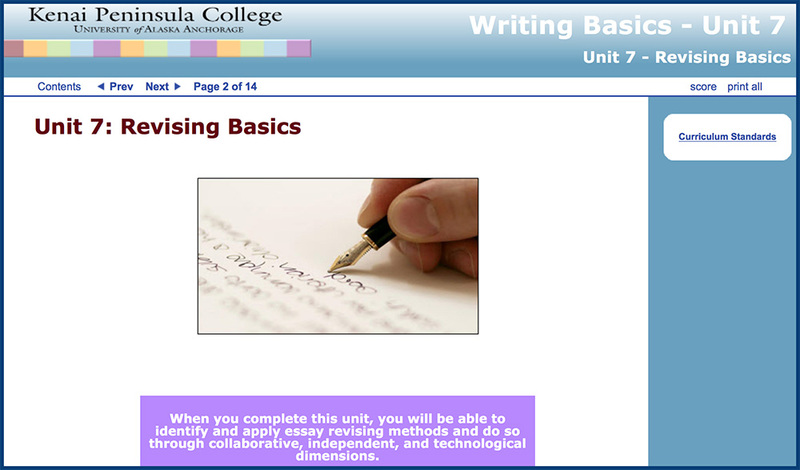 Writing Basics is a series of self-paced online Units that serve as a tutorial for those desiring a refresher in basic writing skills. The course is designed to prepare students for 100-level composition courses or to cover the skills needed for general education writing requirements at the college level. 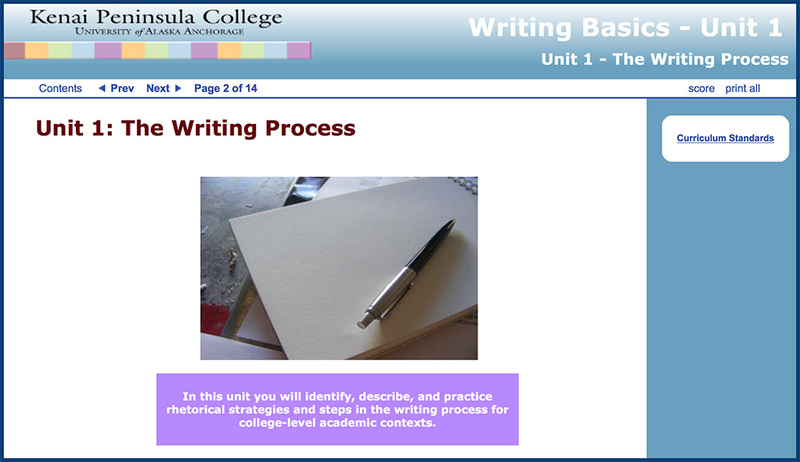 In this unit students will identify, describe, and practice rhetorical strategies and steps in the writing process for college-level academic contexts. 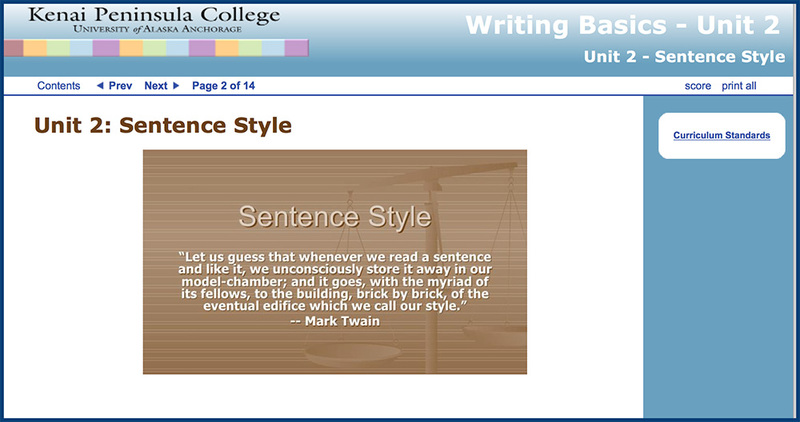 After reviewing this unit, students will be able to define and identify key components of sentence style as well as recognize errors in word choice and parallelism. 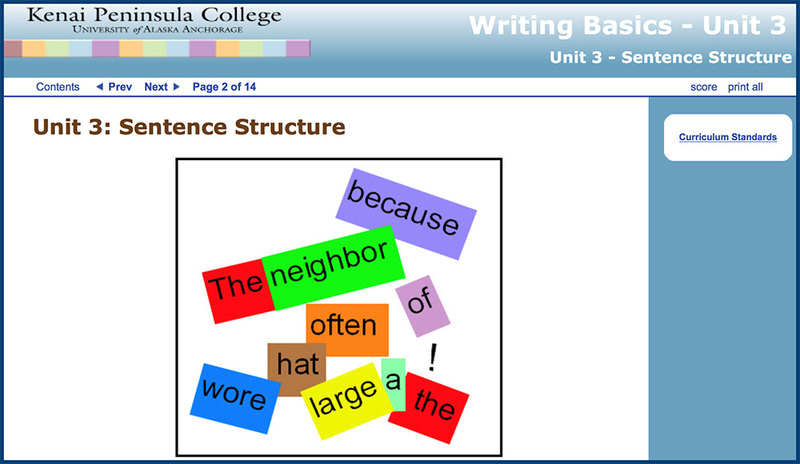 In this unit students will learn to recognize the major parts of a sentence and determine their function in sentence agreement and sentence completion. In this unit students will learn to identify and incorporate punctuation basics: commas, semicolons, colons, and apostrophes. 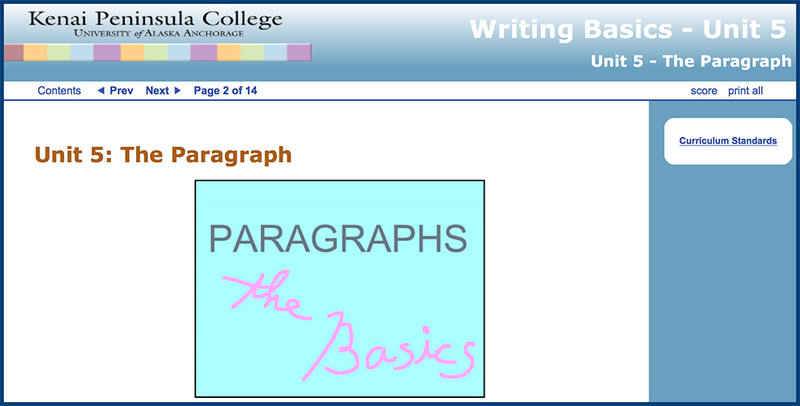 In this unit students will learn to identify the purpose of a paragraph, explain how a paragraph is structured, and recognize the different functions of a paragraph. 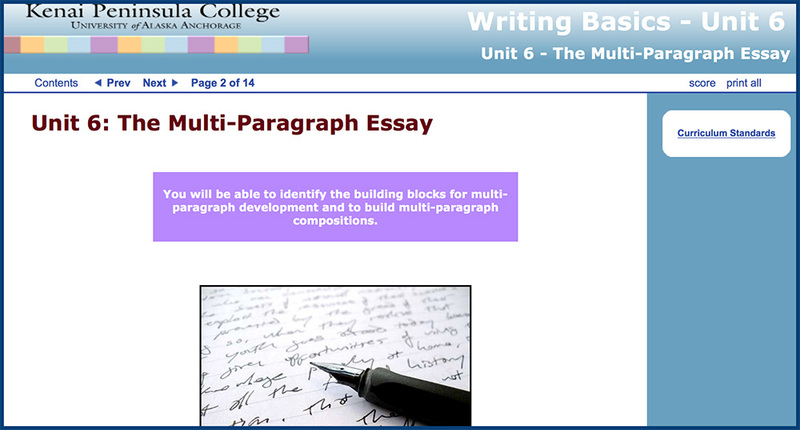 In this unit students will learn to identify the building blocks for multi-paragraph development and to build multi-paragraph compositions. In this unit students will learn to identify and apply essay revising methods and do so through collaborative, independent, and technological dimensions. 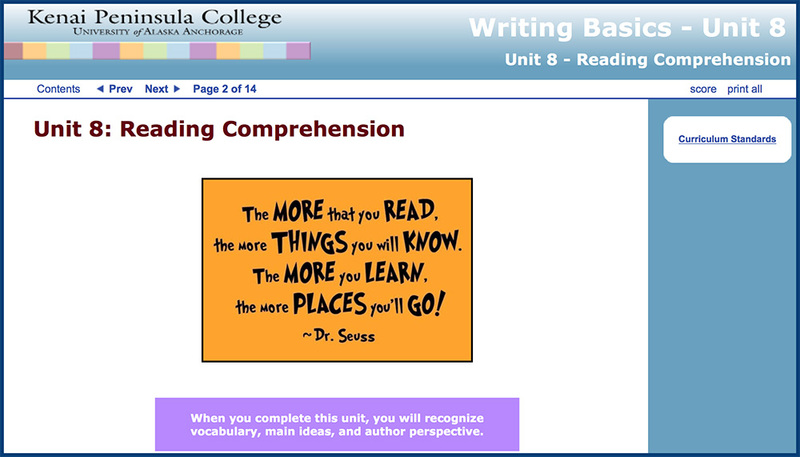 In this unit students will learn to recognize vocabulary, main ideas, and author perspective.